There is no cost for these Social Media Bootcamps. We teach you everything you need to know, free of charge. Each seminar runs roughly 90 minutes with a question and answer session at the end of the presentation. There is no limit on the number of attendees! We have presented to large and small real estate offices. Yes, we will drive to you and present at your office for all of your agents. Yes, this seminar is designed to educate and motivate your agents on the power of social media marketing for real estate. Social media is a powerful tool that many agents aren't taking full advantage of to maximize their business. Let us motivate and empower your agents at your next sales meeting! Take advantage of our no cost Social Media Bootcamp seminar designed exclusively for real estate professionals. Our social media specialists will educate agents of all skill levels in social media and online marketing. Each in-office Bootcamp Seminar runs 30 minutes followed by a Q&A session. 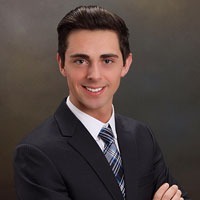 Dylan Handy is one of our social media and marketing specialists at Elm Street Technology committed to helping real estate agents reach their marketing goals. He graduated from the University of Findlay with a degree in business management and a minor in marketing. He is passionate about social media marketing, as seen by his growing online audience. His enthusiastic and motivating coaching has helped agents all over the country grow their real estate businesses. He has dedicated his career to technologies and marketing techniques specific to the real estate industry. With over 15 years of experience in real estate marketing and advertising, Pam brings a level of expertise to her coaching that's unmatched in the industry. She has earned her position as the field sales manager at Elm Street Technology. 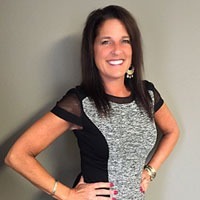 Her specialties includes online marketing, lead generation, lead acquisition, client management and client-for-life retention for real estate brokers and agents. Pam works with agents at all levels, from brand new agents to seasoned top producers. She brings an encouraging and empowering teaching style to her presentations.